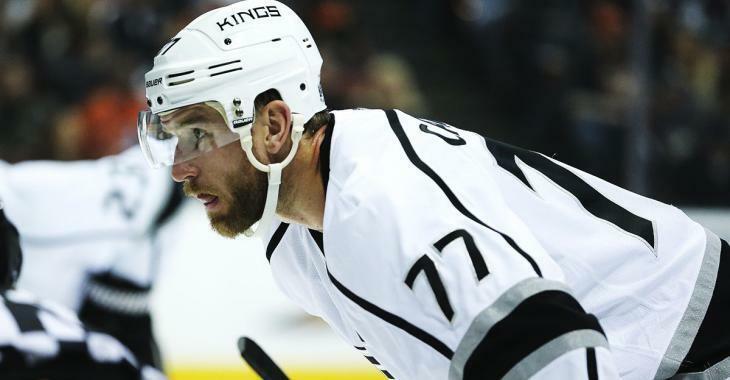 Los Angeles Kings veteran forward Jeff Carter is expected to be out until February after having surgery to repair a cut on his left leg back in mid-October, but since this original update from the team, things have been quiet. Too quiet. Now, according to Jon Rosen, the Kings top forward is no where close to skating again, and now there is no firm timetable for his return to action. The 32-year-old was hurt in a game on Oct. 18 when the skate of Montreal Canadiens defenseman Jeff Petry accidently slashed with Carter's lower leg during a hit. Carter had three assists over six games before the injury. This is his seventh year with the Kings. Let's hope he can get back on the ice shortly.